hes, vineyards, cherry orchards, a National Lakeshore, and numerous forests. 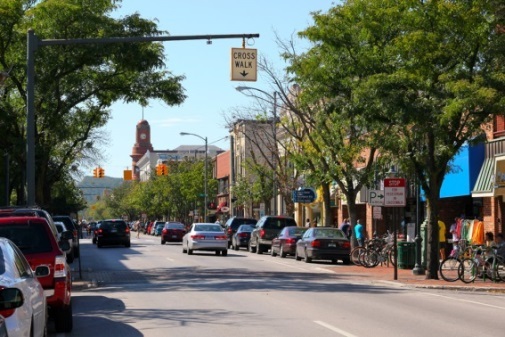 Traverse City has numerous restaurants, shops and microbreweries as well as kayak, canoe, Jet Ski, paddleboard, and bike rentals right in town. Nearby attractions include Sleeping Bear Dunes and Mackinac Island. and content sessions through presentations and discussions on relevant water education topics. This year’s conference will feature a field experience to Sleeping Bear Dunes on the shores of Lake Michigan, opportunities to view the Chinook salmon run just a short walk from the Park Hotel and a fun night where we will learn about the Petoskey stone, an ancient coral found on the shores of the Great Lakes. Download the agenda by clicking on 2017 Conference Agenda under Documents. Closed meetings for Project WET USA Host Institutions and Coordinators only will be held on October 3rd and 4th. Following these closed meetings, open sessions will take place October 4th and 5th. October 2: New Coordinator Training. This all-day training allows any coordinators, new-to or unfamiliar with running their own network of facilitators, to learn about and ask questions from Project WET staff and experienced coordinators. Like any Project WET training, it is an interactive and hands-on session. Opening dinner will be on the roof of Park Place Hotel overlooking Lake Michigan. October 3-4: USA Coordinators' Network Meeting. These sessions are closed sessions for Project WET coordinators only. This is time to discuss your program with other coordinators and Project WET Foundation staff, learn what is happening from the National office and help shape the future of Project WET over the next year. October 4-5: General Conference Sessions. Open to anyone, these sessions share presentations and activities submitted by participants and vetted by the conference planning committee. Local guest speakers may also be included as well as Advanced Training by the Instruction and Training WETteam. October 6: Optional field experiences around Traverse City or travel home. The experiences include but are not limited to kayaking the river in town, travelling to Mackinac Island and attending a ROV tour at the nearby university. The cost for Project WET USA Coordinators to attend the entire conference is $480 and includes most meals. The cost for participating in the content sessions only from October 4-5 is $300 and includes most meals Wednesday through Friday morning. Download a full agenda with a schedule of meals under Documents. Deadline for registration is August 25, 2017. Cancellation policy: Cancellations are available for a full refund through August 31, 2017. No refunds for cancellations after August 31, 2017. Opening dinner will be Monday evening on the rooftop of the Park Place Hotel, overlooking Lake Michigan. Attire is dressy casual (nice jeans/slacks with a colored shirt or a casual dress). "Miles of sand beach, bluffs that tower 450’ above Lake Michigan, lush forests, clear inland lakes, unique flora and fauna make up the natural world of Sleeping Bear Dunes. High dunes afford spectacular views across the lake. An island lighthouse, US Life-Saving Service stations, coastal villages, and picturesque farmsteads reflect the park’s rich maritime, agricultural, and recreational history." For more information visit the Sleeping Bear Dunes website. Transportation for this event is supported by Annis Water Resources Institute (AWRI). Thank you for your support of the Project WET conference! Park Place Hotel provides a shuttle to and from the Traverse City Airport. The hotel also features complimentary parking should you choose to rent a car or drive. The Project WET Foundation will offer conference scholarships for conference registration ($400) to three coordinators. Scholarships will be awarded to at least one new coordinator (of less than 3 years) who needs to attend to the New Coordinator Training and at least one existing coordinator who is active on a WETteam(s). Preference will be given to applicants who are presenting or needing to attend the New Coordinator Training. Scholarships are now closed for this year. This year’s featured book is The Death and Life of the Great Lakes by Dan Egan. "The Great Lakes—Erie, Huron, Michigan, Ontario and Superior—hold 20 percent of the world’s supply of surface fresh water and provide sustenance, work and recreation for tens of millions of Americans. But they are under threat as never before, and their problems are spreading across the continent. The Death and Life of the Great Lakes is prize-winning reporter Dan Egan’s compulsively readable portrait of an ecological catastrophe happening right before our eyes, blending the epic story of the lakes with an examination of the perils they face and the ways we can restore and preserve them for generations to come." Learn more or buy the book at Amazon. Please bring something to contribute (and your money to bid in the auction!) for the Project WET USA Silent Auction. Proceeds go to providing scholarships for the 2018 Project WET USA Conference—it could be YOU needing a scholarship in 2018! Ideally, we are looking for water and other environmental education-related items (fun and functional) that can be used by educators but anything to raise money is helpful. 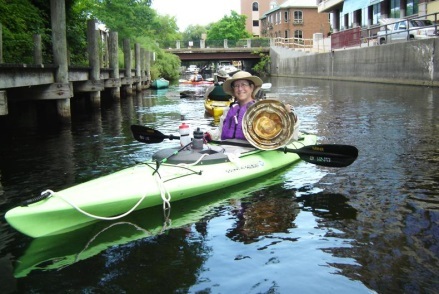 Think about bringing a basket representing the best of your state. Let’s make this the best silent auction ever! Email Project WET at wetusa@projectwet.org for more information.